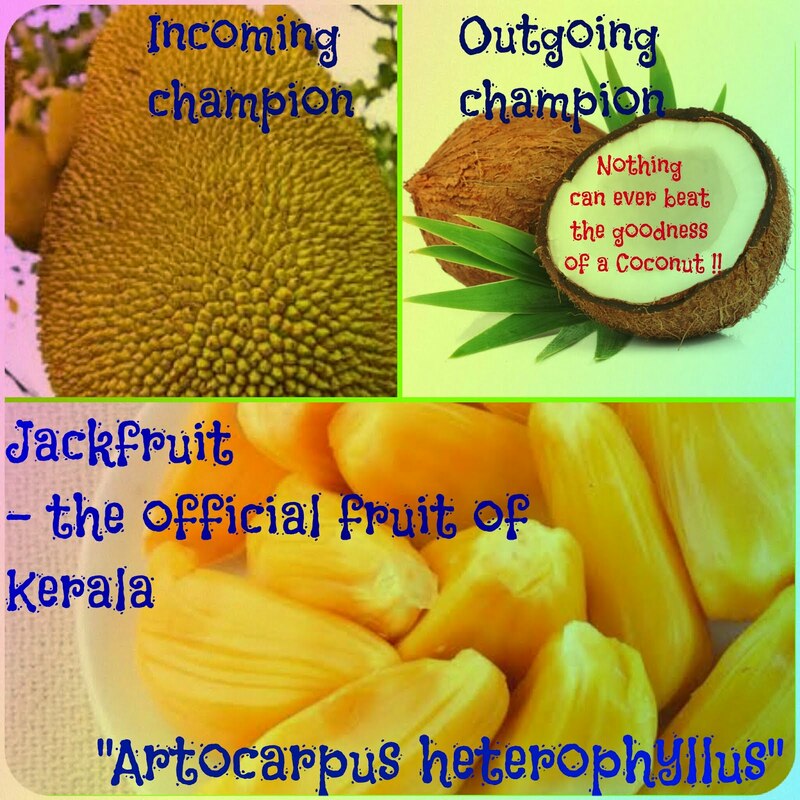 Musings 'n scribblings of a philanthrope .. : The majestic Jackfruit and it's seeds ..
Kerala govt declares jackfruit as the official fruit .. The jack of all fruits !!! Origin: The jackfruit is believed indigenous to the rain forests of the Western Ghats of India. It spread early on to other parts of India, southeast Asia, the East Indies and ultimately the Philippines. It is often planted in central and eastern Africa and is fairly popular in Brazil and Surinam. South India is blessed by the monsoons and only South India can claim to be the real and original growing place of the great jackfruit. No wonder the state government of Kerala was quick to understand the great benefits of this fruit and quickly name it the state fruit of Kera-la. Wonder when they will change its name from Kera-la (land of coconut) to chakka-la (land of jackfruit) ..
Click here to read about the benefits of Jackfruit ..
Get to know everything about the jackfruit here. From mid-March to mid-July, four months, Jackfruit grows aplenty in Kerala and Karnataka. 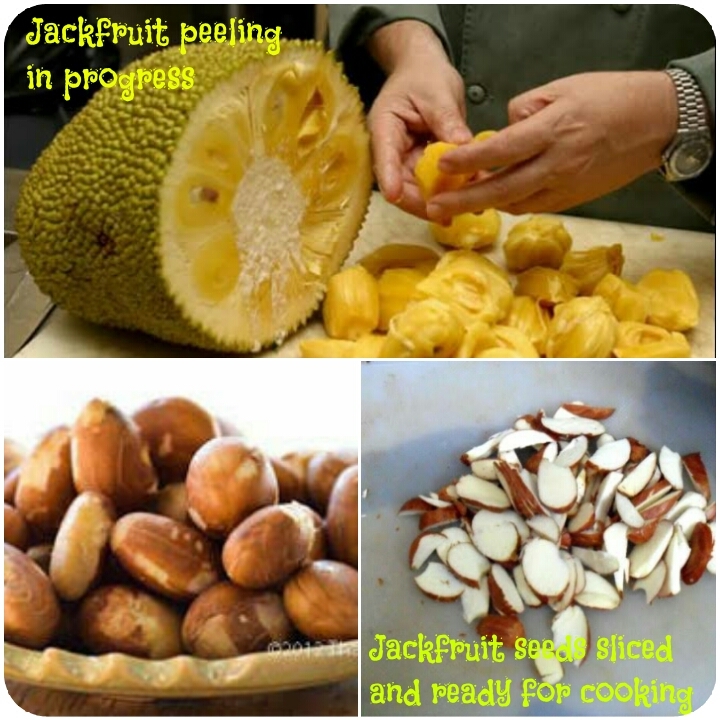 Let us not anymore look down upon the jackfruit and it's protein-rich tasty crispy seeds .. It could be your natural cancer saviour too. The jackfruit seeds have lot of benefits too .. Click to read about it here ..
My father used to jokingly call the jackfruit seeds shathrukkuru (ശത്രുക്കുരു ) enemy seeds as, being highly protein rich, it can cause indigestion in a sensitive stomach and leave a trail of gases in your digestive system. These gases when released can leave lot of frowns and suspectful looks on your friend's and colleagues' faces .. Both the honey varikka and varikka have an orderly oval shape for the big jackfruit. All of them taste too good and give a special out of the world experience !! As old timers say, അധികമായാൽ അമൃതും വിഷം, anything in excess is bad, moderate consumption of Jackfruit can be a life changer for you !! It is a supreme gift from nature for you and family, use it with great moderation and respect. Do not gorge on it ! In Kerala, jackfruit is preserved by preparing its concentrate, by boiling and dehyrating it to be used as a fruit jam with chappathi, as bread spread, steamed rice flour (puttu), steamed and mixed with rice flour as an evening snack and mostly in jackfruit porridges or payasams on special occasions..
May the goodness of jackfruit continue to provide you with a healthy sound diet and give you good health.